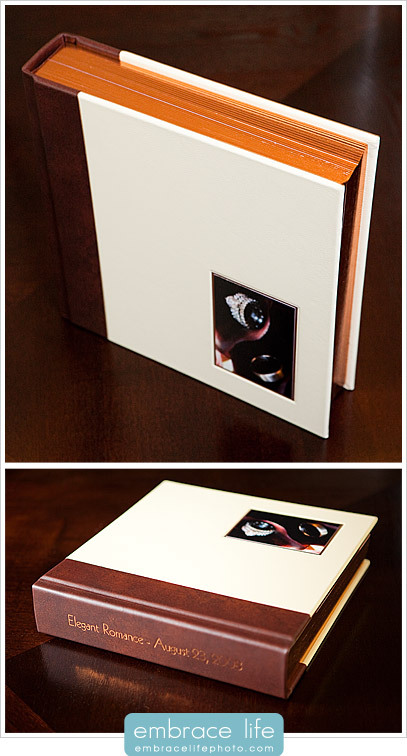 I just delivered an amazing Hand Crafted Elegant 80 Photograph Album to our friends Meghan and Charles who had a beautiful San Diego wedding. The next best thing to having my own sample to share with you is a couple of pictures, and video of Amber turning the pages so you can see how beautiful it is, too. As you can see, Meghan and Charles opted for a beautiful two-tone leather cover: Ivory on the front and back with a Mohogany spine. 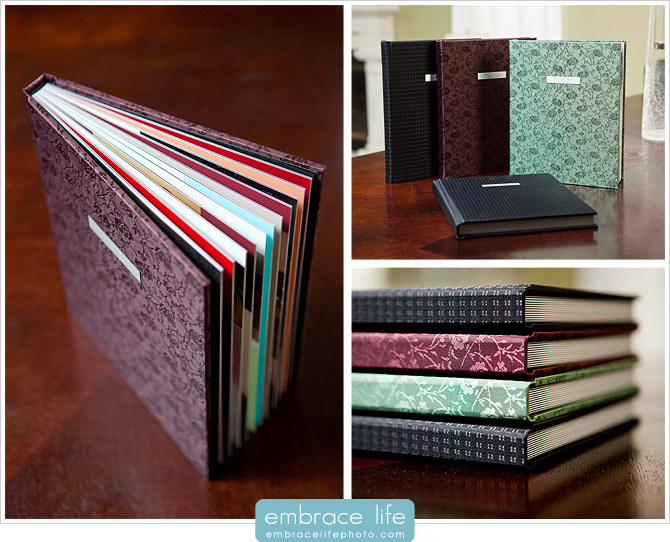 Mohogany leather was a great choice for the spine color as it complemented the cover photograph of Meghan’s gorgeous purple lilies. The copper guilding Meghan and Charles selected for the pages and as a border around the matted prints gave this album a truly elegant look! Let us know if you’d like to order a Custom Album from your existing wedding or portrait shoot, or if you’d like to schedule a shoot and learn more about our Custom Albums and Fine Art Prints.